Blaze a new trail for Dad's Day. 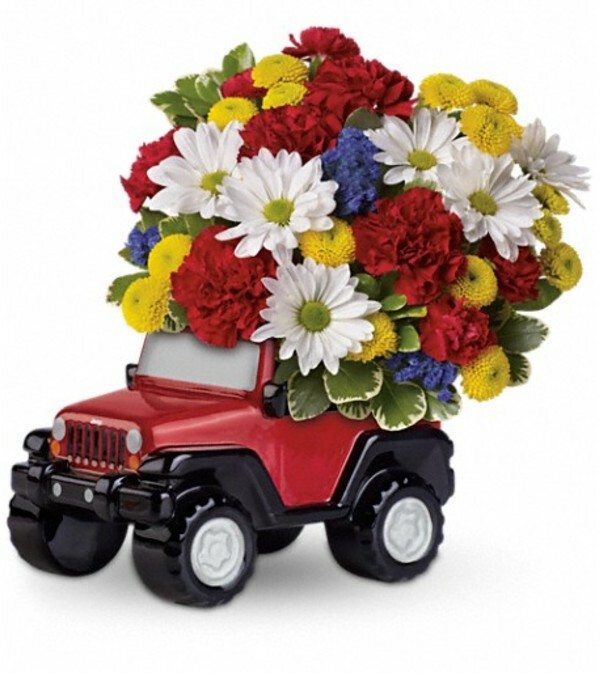 Forget the socks and ties, and surprise him with bright blooms in a ceramic replica of the classic Jeep® Wrangler. 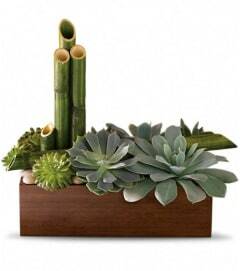 He'll love being remembered in such a fun and imaginative way. 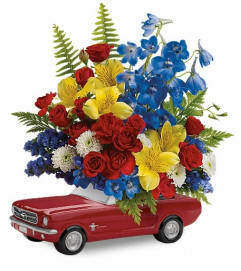 The sporty bouquet includes red carnations, red miniature carnations, white daisy spray chrysanthemums, yellow button spray chrysanthemums and blue statice, accented with variegated pittosporum. 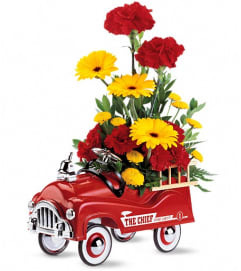 Delivered in a ceramic replica of the Jeep® Wrangler.